Starting Wednesday, March 13th and running through the 17th, you can catch one of 39 movies from 17 African countries at Stockholm’s CinemAfrica Film Festival. 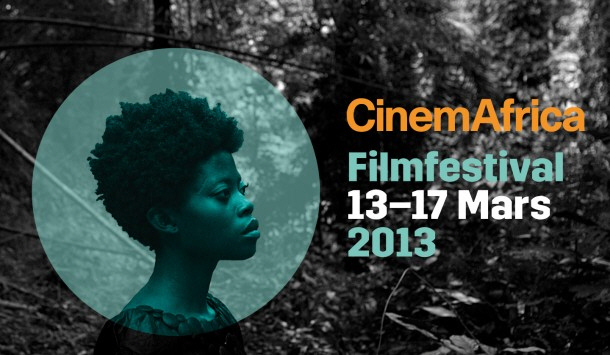 Celebrating the continent, the films are a mix of art, shorts, features, and documentaries. Started in 1996, the goal of the film festival is to change the singular view of Africa long held in Swedish society and offer up a more complex continent with complex stories, relationships, and characters. During the five days of the festival, all movies shown would be strictly from Africa and will be featuring among their line up of directors, Akosua Adoma Owusu from Ghana and Ng’endo Mukii from Kenya who will be spotlighting contemporary issues of identity and representation in their respective works. During the festival, we want to share with you what we see happening on the African continent; growing film industries and trends which older films nations consolidates its role and new born. From South Africa, Morocco, Senegal and Kenya, the movies in the highest class, and in Namibia, Mauritius and Ghana comes new stars in the movie sky. In CinemAfrica Film Festival in 2013, we have two brand new movie nations represented; Mauritius with the film The Children of Troumaron, a drama about young people’s desperate struggle to survive in a harsh society and Taste of Rain, the first feature film produced in Namibia, about love, drought and to change their fate. For those interested in attending over the five days the festival will be running, check out ticket prices, the movie list, calendar that outlines playing times and locations, as well as the festival’s honorary guests.